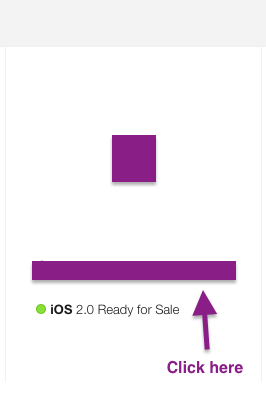 I want to remove my app, which is currently marked "Ready for sale", from the App Store. I could not find any documentation on this, and there is no "Remove from Sale" option in the "Manage Your Apps" section of iTunes Connect. Can anyone guide me on how I can remove my app from the App Store? What you need to do is this. Go to “Manage Your Applications” and select the app. Click “Rights and Pricing” (blue button at the top right. 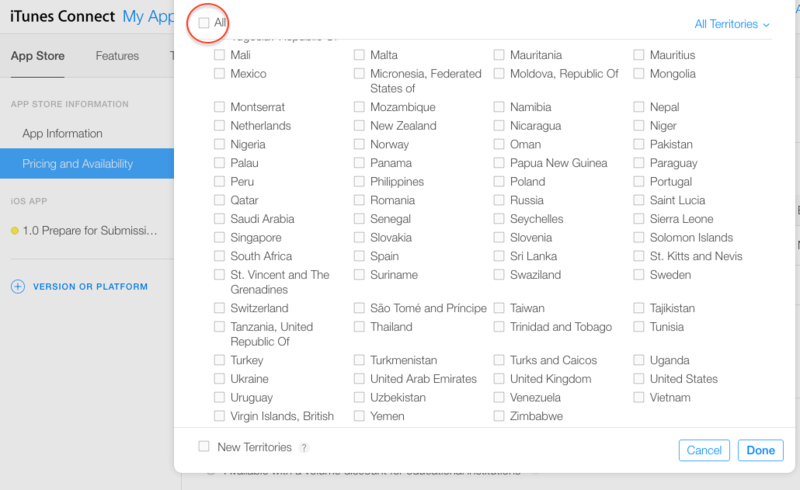 Below the availability date and price tier section, you should see a grid of checkboxes for the various countries your app is available in. Click the blue “Deselect All” button. Your app's state will then be “Developer Removed From Sale”, and it will no longer be available on the App Store in any country. For permanently delete your app follow below steps. Here you can see your all app which are currently on Appstore. Step 3 :- Select Pricing and Availability Tab. Step 4 :- Select Remove from sale option. Step 5 :- Click on save Button. Now you will see below your app like , Developer Removed it from sale in Red Symbol in place of Green. Step 8 :- Click on Delete button. Congratulation , You have Permanently deleted your app successfully from appstore. Now , you cant able to see app on appstore aswellas in your developer account. When you have selected only Remove from sale option you have not deleted app permanently. You can able to make your app live again by clicking on Available in all territories option Again. You can "Deselect All" to remove the app (temporarily) from all App Stores, as Noah mentioned. And you can "Select All" to get the App back to all App Stores. Click the My Apps section. Select the app you'd like to remove. Click the Pricing tab from the app listing page. Click the "specific territories" link. In the drop-down section that appears below, click "Deselect All' at the top right. This will uncheck every territory below. A confirmation message will appear at the top of the screen. Return to the My Apps section by clicking the navigation button at the top left. 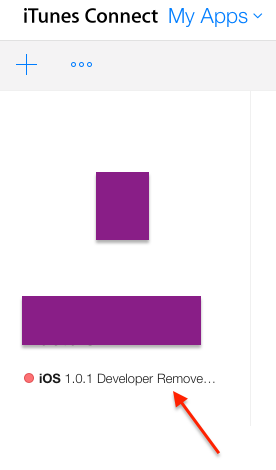 The application status has changed to "Developer Removed From Sale." Within 24 hours (though usually less) your app will no longer appear in the App Store. Under Availability section you will see two options 1) Available in all territories 2) Remove from sale, Kindly refer below screenshot for the same. Select remove from sale if you would like to remove from all territories, if you would like to remove from specific territory then click on edit & remove from selected territory. 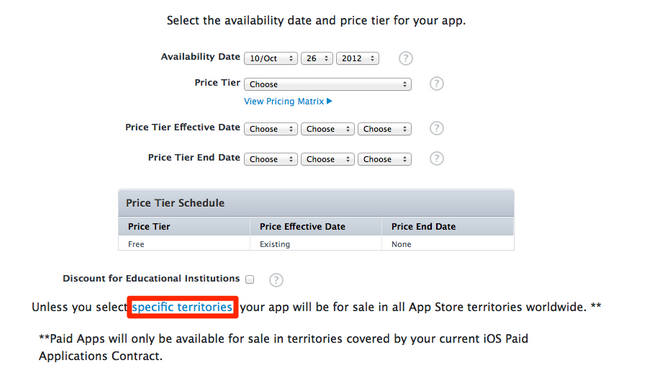 To remove an app from the App Store, deselect all territories in your app's Rights and Pricing section on the App Summary page accessible from the Manage Your Applications module. Your app status will change to Developer Removed from Sale and will be removed from the App Store until you make it available again using the Rights and Pricing section. You have selected an Available Date in the future. This will remove your currently live version from the App Store until the new date. Changing Available Date affects all versions of the application, both Ready For Sale and In Review. Which means that the app is removed and no longer available. Since itunesconnect has been changed i am updating with the new steps here. Under Appstore tab choose "Pricing and Availability"
In app purchase items will NOT be removed automatically, user still can buy them, you have to change each item status. Users who've downloaded the app before still can restore/redownload app. See details: Removing and app from sale. If you want to completely remove your App, you should delete your app. Temporarily remove app from store while update is waiting for review? 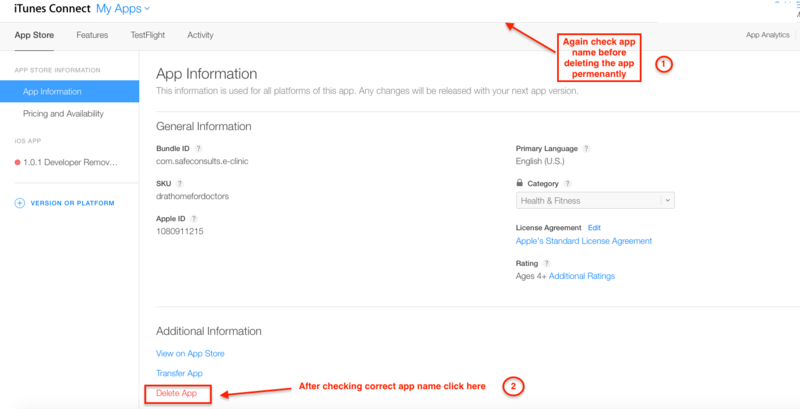 How to remove App from App Store and Developer account? how to remove the iPhone application version from the AppStore? iTunes Connect & App Store: can you remove a “Ready for Sale” version until replaced with a new one? Can we temporary hide iOS App from Apple App Store?